There is absolutely no doubt that this is the best Android powered tablet yet, and the first that deserves to be compared with the iPad in any meaningful way. It's not quite cheap enough to trouble the iPas 2 too much though, and the tablet-optimized Android 3.0 Honeycomb could do with just a little more optimization and tweaking. But if this is the shape of things to come from the Android camp, Apple has reason to be worried. I like Android 3.0 Honeycomb and I like the Motorola Xoom, and if it had been launched on to the market last year in direct competition with the original iPad then my money along with my recommendation of where to spend yours would have been firmly with the Xoom courtesy of the cameras, the superior web browsing client and the added processing power. But does that still hold true now that the second generation iPad is out, complete with cameras and a lot more processing power itself? Perhaps the most important part of the Xoom is not the hardware, or even the apps, but rather the OS. Android 3.0 Honeycomb is the first version of Google's Android operating system that comes properly optimized for tablet devices. 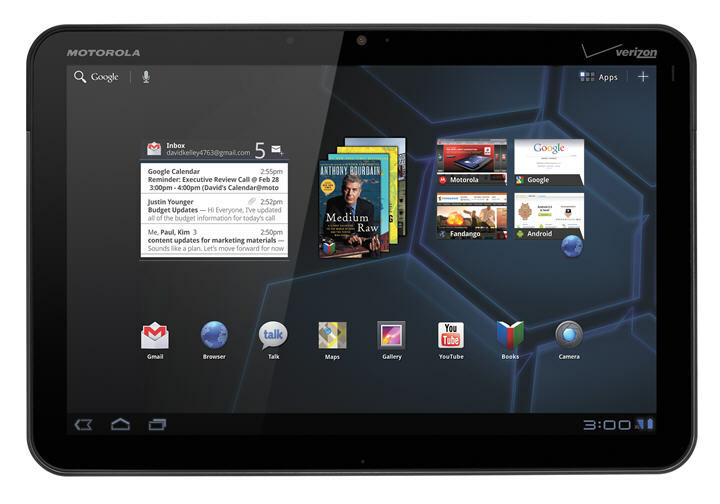 What that means, of course, is that the Xoom is really the first proper Android tablet on the market. Having used pretty much every previous version of the Android OS on a whole host of tablet devices, there is no doubt at all that Honeycomb raises the game into an entirely different league. 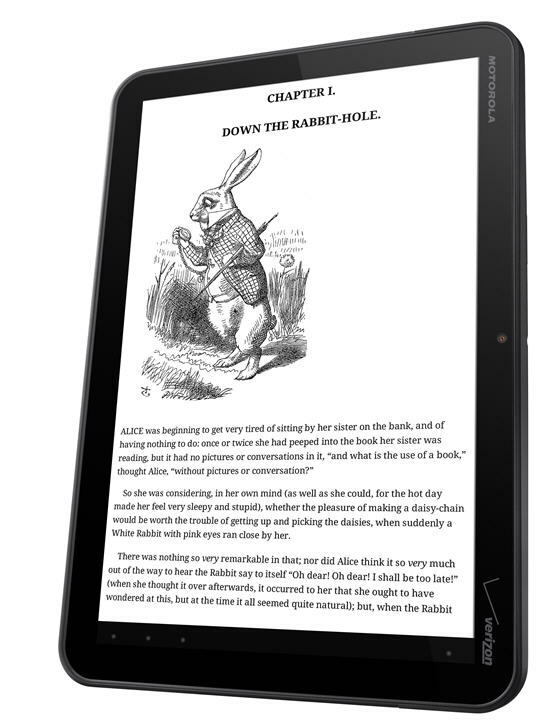 This actually feels like a tablet now, rather than a super-sized smart-phone. I was particularly enamored with the 'widgets' that work so seamlessly and provide an almost desktop-alike experience on a tablet which is both strange, cool and useful all at once. The widgets even stack on top of each other to preserve screen real estate which is nice. Nice is also a word I would use to describe the Xoom web browsing client which will immediately appeal to anyone who is a fan of the Google Chrome browser client, sharing some of the look and feel including tabbed browsing. The addition of thumb control is brilliant as it enables you to perform the most common functions required during browsing, such as opening tabs or moving between pages, simply by placing your thumb at the edge of the screen and using a curved menu overlay. 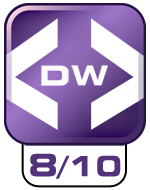 OK, so what about the all important optimized for tablets Android OS? Well, Android 3.0 Honeycomb can multitask better than the iPad, in actual fact perhaps I should say it can multitask rather than task-switch and leave it at that. Honeycomb is perhaps a little confusing to experienced Android users, with things like the hardware 'home' and 'back' buttons being replaced with virtual ones for example leading to it taking a bit of getting used to, but this will not be a problem for newcomers to the OS of course. What will be a problem for everyone, and comes in stark contrast to the Apple iOS experience, was the relative instability (error messages and freezing) I experienced with the Xoom. The micro SD storage card slot doesn't work out of the box either, although that will be enabled at some point in the future by a system update it gives the impression of a device rushed out before it is really finished. In fact, it all left me feeling that there was still an update or two needed to the Android 3.0 Honeycomb OS before it would be polished enough to take on the iPad 2 and iOS head to head in a fair fight. Talking of which, Apple still has the advantage when it comes to apps: whether you are looking for leisure apps, productivity apps or just showing off apps the Xoom struggles to find properly tablet optimized ones in the number that Apple can. Stretched apps are never nice to use, and certainly not on a bit of otherwise good looking hardware like the Xoom. 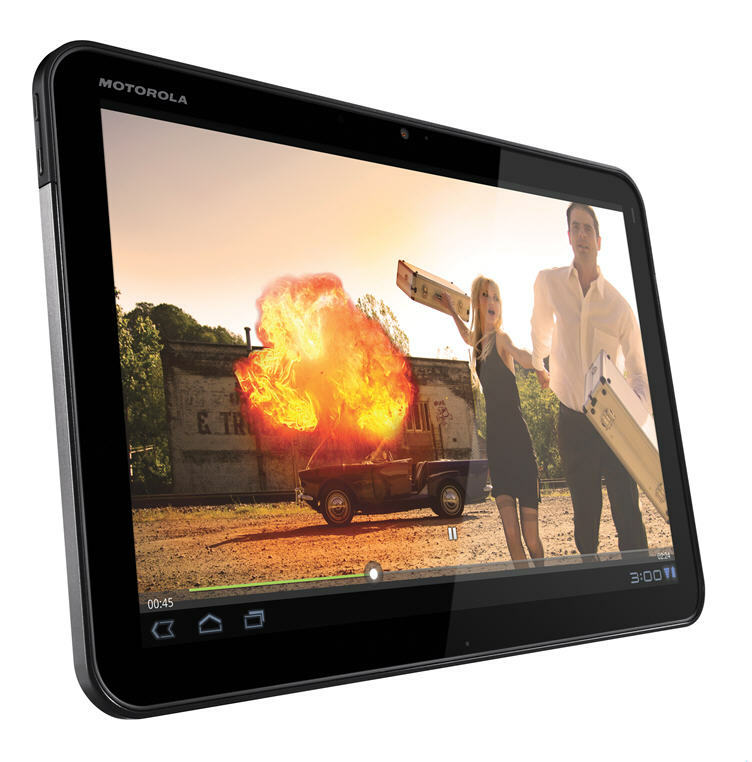 The Xoom comes with a 10.1" WXGA screen that manages an iPad beating resolution of 1280 x 800. Which does mean it is also slightly bigger and heavier than the iPad 2, and it's the additional weight that was most apparent to me. The Xoom weighs in at 1.6 lbs compared to 1.3 lbs for the iPad 2, and after holding them for a few minutes you do notice it. Just as you also notice how glossy the Xoom screen is, I mean this is super-glossy in a bad sense which impacts terribly on the ability to use the thing in direct sunlight or any bright light source to be honest. Not that I hated the display, actually I thought it was very impressive and I appreciated the additional size and resolution over the iPad 2. But if you are not going to be staying indoors and using the Xoom primarily during the day, well, that reflectiveness is going to wear you down real quick I reckon. Motorola has not made the same mistake as Apple and skimped on the camera quality when it comes to the Xoom. Forget about those puny iPad 2 0.3MP and 0.7MP snappers, the Xoom offers up a front facing 2MP camera and a rear facing 5MP one. Now that's more like it, especially when you add the auto-focus and dual-LED flash into the mix for the better of the two devices. In terms of sheer processing grunt though the Xoom impresses with a NVIDIA Tegra 2 Dual Core 1GHz processor along with 1GB RAM. Which means that everything loads quickly, and runs smoothly. But then the same can be said of the iPad 2 with that new dual-core A5 processor to play with. The iPad 2 only gets 512MB of DRAM though, but it's enough to make the tablet twice as fast as the original iPad and apparently some 9x faster in terms of graphical output. My honest opinion is that I couldn't tell a great deal of difference between the two tablets in terms of firing up apps and then actually using them, nor when it came to general day-to-day OS interaction. The Xoom felt just as fast and, without having run any in-depth benchmarks (your average user cares more about real world usage than labs-based benchmarking to be fair), that's pretty much all that matters. Both iPad 2 and the Xoom managed to squeeze decent battery life out of the hardware, but I'd give the edge to Motorola on this one being the right side of 12 hours on a full charge while the iPad 2 could 'only' manage around 10 hours. The Xoom also has all the onboard sensors you would expect from a high-end tablet such as accelerometer, digital compass, ambient light, gyroscope and GPS as well as one you might not in the form of a barometer. I'm not quite sure why you might want to measure air pressure with your tablet, but I'm certain there will be an app for that before long. It's impossible to compare like for like exactly when it comes to pricing of the Xoom against the iPad 2 as there are so many variables of spec, network contracts etc. However, roughly speaking when it comes to the most comparable of the two the Xoom will work out a little more expensive, but only a little so price is probably not the best metric when it comes to choosing between the two. When it comes to look and feel, the look is always going to be a very subjective thing but I don't think there is much aesthetically between either tablet. Feel is a bit more objective, but in this case the two are pretty much on a par for build quality and in the hand comfort. The Samsung Galaxy Tab must be crying in a corner now as the Motorola Xoom is the new and undisputed King of Android tablets, bar none. If approached from a purely spec-by-spec perspective then you'd have to conclude that the Xoom was King of all tablets: equal in most areas but better in some such as screen and camera resolutions, oh and even a micro USB slot. But as any gadget lover will confirm, specs are not the be all and end all of a device. It's how those specs combine in the overall user experience that matters, and that's where I have to admit I think the iPad 2 has the all important edge. I mean, OK so the Xoom has stereo speakers instead of a single one but the sound quality is no different, to my ears at least, on the iPad 2 in general usage. The Xoom screen is better resolution but made pointless outside in direct sunlight as it is way too reflective. The cameras are way better, if you need them, but the OS which promises so much still appears to be a little rough around the edges. So for now, my money is still with the iPad 2 despite my reservations. still dont think it's better then the IP2. To pricey. All motorola products are to pricey. Why get a Xoom for 799$. When you can get an IP2 for 499$ and in my opinion is better.